Broccoli with oyster sauce is a common Chinese side dish that will make a savory addition to any meal. Plus, broccoli is one of the healthiest vegetables to add to your diet, and, by blanching it, you ensure that the vitamins and minerals aren't cooked away. Not only is this dish easy to prepare, it's incredibly fast to cook. After a long day at work, no one wants to spend hours in the kitchen. This recipe can be increased easily for a large party or even for pre-made lunches throughout the week. It might be hard to convince children to eat their vegetables, but a bite of this tasty recipe is sure to change any picky eater's mind. Add the broccoli, and blanch for 2 to 3 minutes, until tender but still crisp. Remove from the saucepan, plunge briefly into ice cold water, and drain. In a small saucepan, bring the chicken broth, oyster sauce, ​dark soy sauce, granulated sugar, and sesame oil to a boil. Add salt to taste. Add the cornstarch and water slurry, and stir constantly until thickened. Pour the sauce over the blanched broccoli. Serve hot, garnished with the sesame seeds. If you're looking to substitute your daily multivitamin with vegetables, broccoli is a good place to start. It's full of vitamins like A, B1, B6, E, C, and K, which help to regulate mood and cholesterol. 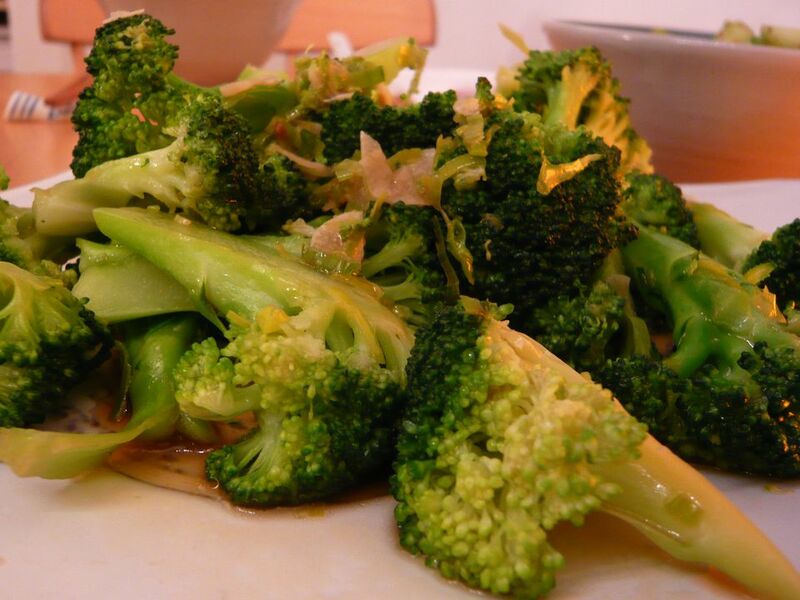 Broccoli is also high in omega-3 fatty acids, which help lower inflammation in the body. The combination of vitamin K and calcium makes this vegetable an excellent food to maintain healthy bones. Broccoli also is great for lowering blood sugar naturally. It’s also considered a "good carb" that's high in fiber, making it an especially good side dish for diabetics. Oysters also are loaded with essential minerals like zinc, selenium, copper, and iron. They also contain many of the same vitamins as broccoli, making this meal even more nutritious. Even though they are consumed in sauce form here, many consider oysters to be an aphrodisiac, making this dish a great way to add a little something special to a date if slurping raw oysters just isn't your style.